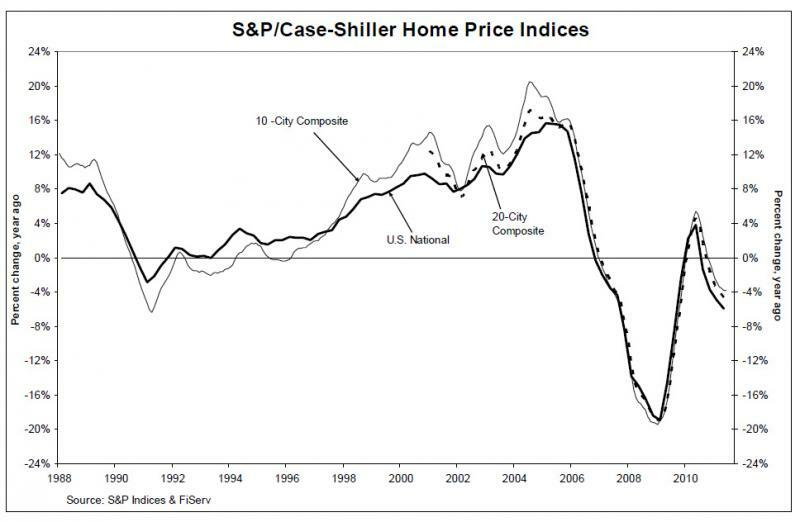 Data released today by the S&P/Case-Shiller Home Price Indices show that through June, home prices nationally were back to their early 2003 levels. But home prices in Detroit were at pre-2000 levels. The Detroit market was down 6.6 percent when compared to the previous year. At the other extreme, those which set new lows in 2011 include the four Sunbelt cities – Las Vegas, Miami, Phoenix and Tampa – as well as the weakest of all, Detroit. These shifts suggest that we are back to regional housing markets, rather than a national housing market where everything rose and fell together. "Detroit, where prices have dropped nearly 50% since peaking in late 2005, remains, by far, the weakest market,” he said. “Detroit avoided a big run-up in housing prices during the boom years, but was hit hard by the recession." LANSING, Mich. (AP) - Democrats in the Michigan Legislature say they want to revive tax incentives specifically set aside for advanced battery manufacturers. The industry-specific tax credits are among those scheduled to be phased out under tax policy changes approved by the Republican-led Michigan Legislature and Gov. Rick Snyder. Democrats say Monday they'll support bills that would continue the industry-specific credits for battery production, facility construction and related activities. The Democratic plan also would include tax credits for buying electric vehicles and charging stations. Michigan's tax credit program and federal assistance have helped several battery manufacturers get started in the state. Credits that already have been granted will be honored. But Snyder and Republicans say they don't want to pick winners and losers with industry-specific tax credit programs. New York Times: "Does America need manufacturing?" 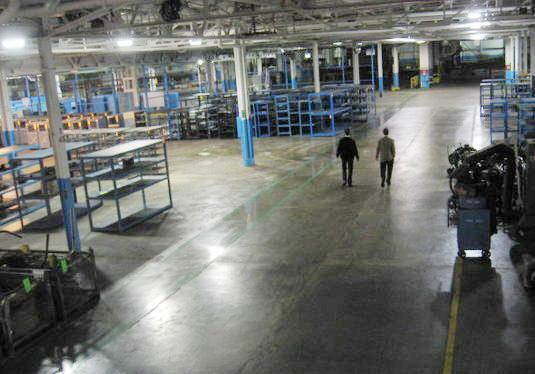 That’s the first sentence in a story in this week’s New York Times Magazine about the seismic downturn in manufacturing over the past decade and its tenuous future in the U.S.
For decades, The Times says, the federal government has largely maintained a policy of letting the marketplace dictate the economy. That is, it hasn’t propped up ailing sectors of the economy nor tinkered with aid packages to strengthen niche industries the way China and Japan have maintained active hands in shaping industry. That’s changed in recent years under the Obama administration. Notably, the federal government rescued American automobile manufacturers and parts suppliers through approximately $82 billion in loans and other incentives. In particular, the government has delivered $2.5 billion in stimulus money to 30 or so companies exploring advanced battery technology. One White House official tells The Times the battery money goes to “the far edge” of how far the federal government is going to create new jobs and boost a nascent industry. “It’s naïve to believe that we just have to let the markets work and we’ll have a strong manufacturing base in America,” Michigan Senator Carl Levin (D) tells The Times. The alternative raises questions. What is the federal government’s new role in spurring industry? What’s its responsibility in ushering a transition to a knowledge-based economy? And, as The Times asks in its provocative headline, does America need manufacturing? This morning, Michigan Radio's Lester Graham released a story highlighting what could be at stake if changes are made to the personal injury protection portion of Michigan's no-fault insurance requirements. Michigan Senators Joseph Hune (R-22nd district) and Virgil Smith (D-4th district) have sponsored legislation that would end the mandatory personal injury protection (PIP) coverage of Michigan's no-fault auto insurance law. It means that Michigan drivers could choose what level of personal injury protection insurance they would like to buy. 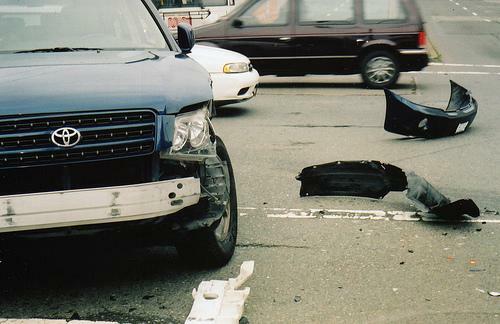 Under the bills, drivers could cap their personal injury protection insurance at $50,000 - a fraction of the coverage needed should they be in serious accident. It would also mean they would not pay into and not be eligible for funds from the Michigan Catastrophic Claims Association fund, which makes the unlimited, lifetime benefits for people severely injured in a auto accident possible. Now, a new poll sponsored by a group fighting these bills, the Coalition Protecting Auto No-Fault, finds the majority of Michigan voters don't want the changes. The telephone survey of 600 voters by Chicago-based Glengariff Group found that 62 percent of those polled oppose limits on the amount of medical and rehabilitation care an accident victim could receive from their auto insurer; 27 percent support limits on medical and rehabilitation benefits and 11 percent were unsure. Of those opposed to limiting medical and rehabilitation auto injury benefits, 43 percent indicated strong opposition. The Coalition's press release says "if auto insurers no longer covered injury costs for those suffering catastrophic injuries – which can cost tens of millions of dollars over the course of a lifetime – medical costs would shift from insurance companies and onto the taxpayer-funded Medicaid insurance program once family assets were depleted." The bill to make changes to Michigan no-fault insurance law is expected to be taken up by the legislature early in September. Disappointing economic data seems to be rolling in more frequently these days. 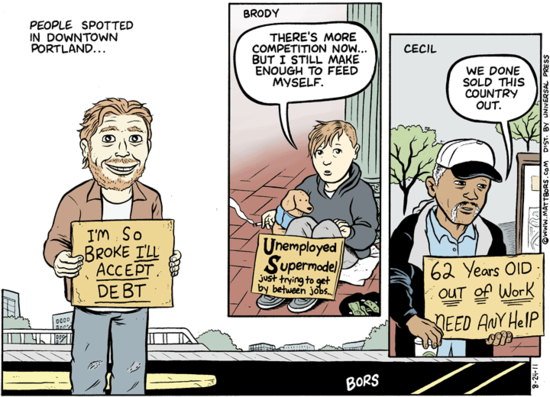 The U.S. economy grew "a meager 1 percent" from April through July (a downgrade from an earlier 1.3 percent estimate), and unemployment numbers show no signs of improving (here's a cartoon of people looking for work in downtown Portland). Now, news of cuts in production at GM. General Motors is cutting its production of pickup trucks next month, a sign that truck sales aren't as robust as the company had hoped. A GM spokesman says the company cancelled five scheduled overtime shifts on Saturdays in September and October. He didn't know how many vehicles would be involved, but the Flint, Mich., plant where the pickups are made can produce 900 trucks per day. Full-size pickup truck sales were up 9 percent for the year through July in the U.S., compared with a year earlier, according to Autodata Corp. But that increase was smaller than the industry saw as a whole. Continuing weakness in the housing and construction sectors has dampened demand for trucks. 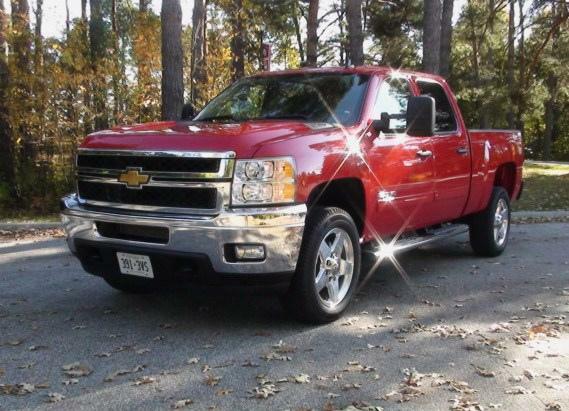 Sales of the Chevrolet Silverado, GM's best-selling truck, were up 7 percent. A new survey finds Michigan retailers are growing more optimistic that they will see their sales improve over the next three months. 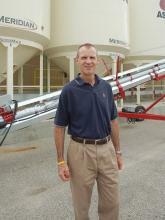 Tom Scott is with the Michigan Retailers Association. He says the survey’s results are the most optimistic state retailers have been about the economy since the end of last year. "I think we’re scratching our heads a little bit over why there’s so much optimism out there…given the mixed economic news we’ve been getting. " The U.S. has suffered from a bad economy for the last three years. 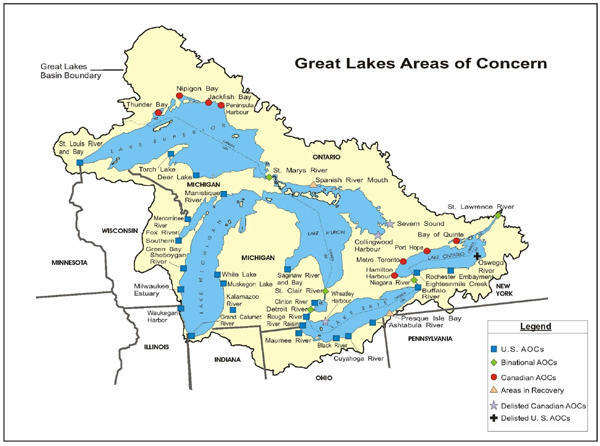 Parts of the Great Lakes have suffered from bad pollution problems for the last several decades. Now, the U.S. Environmental Protection Agency wants to use money from the Great Lakes Restoration Initiative (GLRI) to put people to work cleaning up pollution in the region. The U.S. Environmental Protection Agency today announced that the Great Lakes Restoration Initiative is setting aside approximately $6 million for federal agencies to sign up unemployed workers to implement restoration projects in federally-protected areas, on tribal lands and in Areas of Concern in the Great Lakes basin. EPA will fund individual projects up to $1 million. To qualify for funding, each proposed project must provide jobs for at least 20 unemployed people. 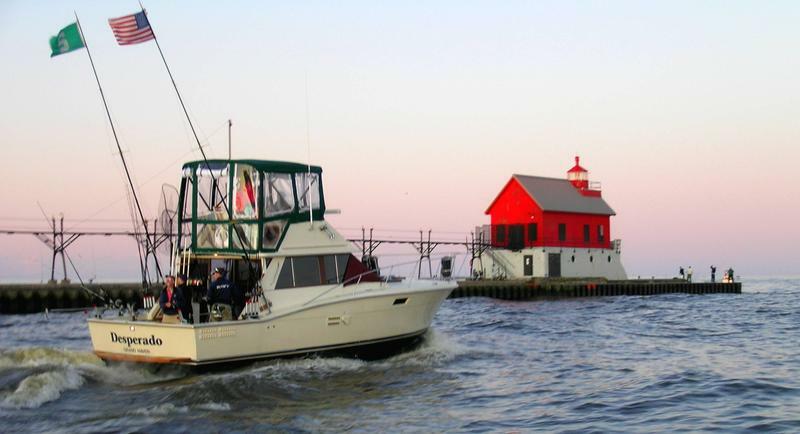 “These projects will help to restore the Great Lakes and put Americans back to work," said EPA Great Lakes National Program Manager and Regional Administrator Susan Hedman. "In a sense, we will be using these funds to create a small-scale 21st century Civilian Conservation Corps." The AP reports that Congress has appropriated $775 million over the past two years for the GLRI. 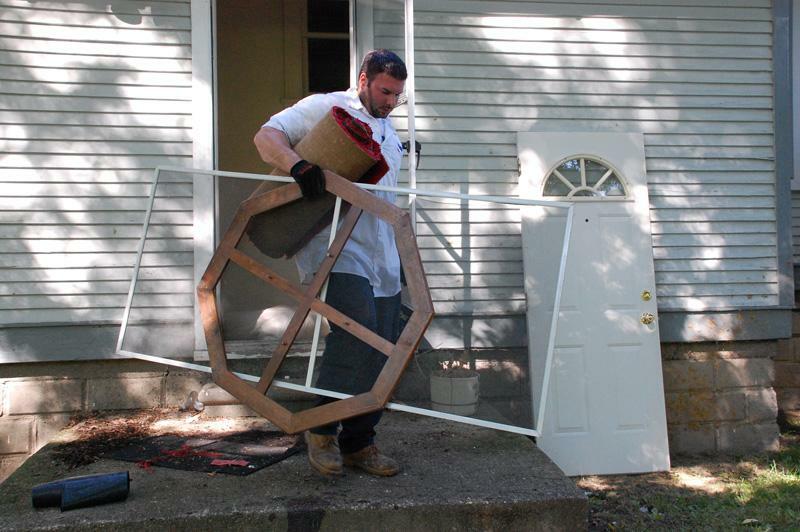 One of the GLRI's main goals is to clean up toxic hot spots known as "Areas of Concern" around the Great Lakes. These Areas of Concern have been identified for decades, but clean-up efforts have stalled as funding for clean-up has been scarce. EPA officials say they will award funding for these new clean-up projects by the end of September. As Michigan Radio's Sarah Cwiek reported last February, "libraries face a tough paradox. People tend to use them more when the economy is bad. But a bad economy also means they get fewer resources to work with." 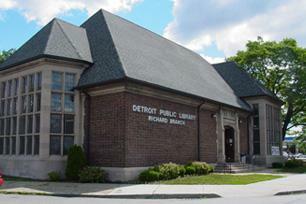 Cwiek was reporting on the Detroit public library system which at the time was facing a $17 million budget shortfall. This past spring, the city proposed closing 18 libraries, but then backed away from that proposal. Staffing cuts were made, and now, according to the Detroit News, the city is proposing to close six of its 23 libraries because the "layoffs of about 40 staffers in spring hurt service and forced some branches to temporarily close on some days." Erin Carter...searches for jobs using computers at the Chase branch in northwest Detroit that is recommended for closure. "There is so much stuff closing down," said Carter, 22. "I don't know where to go." The small library at Seven Mile and Southfield Freeway was packed Tuesday afternoon and every computer was in use. Fifteen-year-old Brandon Thomas and his neighbor, 12-year-old Kalan Lewis, rode their bikes to the library for the first time Wednesday to pick up some books and look for the Civil War movie, "Glory." "They shouldn't close it," Kalan said. "It's for kids. We need to be able to learn what we don't learn in school." LANSING, Mich. (AP) - Residents involved in roughly 12,500 welfare cases in Michigan could lose benefits under a stricter, four-year lifetime limit that has received final approval in the Michigan Legislature. The Republican-led House passed the legislation with 73-34 votes Wednesday mostly along party lines. The measures will go to Gov. Rick Snyder. The welfare limit already has been approved as part of the state budget that kicks in Oct. 1. Lawmakers plan to put the cap in a separate state statute to help implement the budget plan. The state's current four-year limit on welfare benefits would expire Sept. 30 unless the Legislature revises or extends the limitations. The revised welfare limits have fewer exemptions than the four-year limit now in state law. Foreclosure activity dropped by more than a third this past year, according to the group RealtyTrac. But despite the national slowdown, regional companies that take care of foreclosed homes are still thriving. Their job is to keep empty houses clean and safe from the forces that depress local property values: squatters, thieves and decay. Dawn Hammontree probably never expected to see their work firsthand. 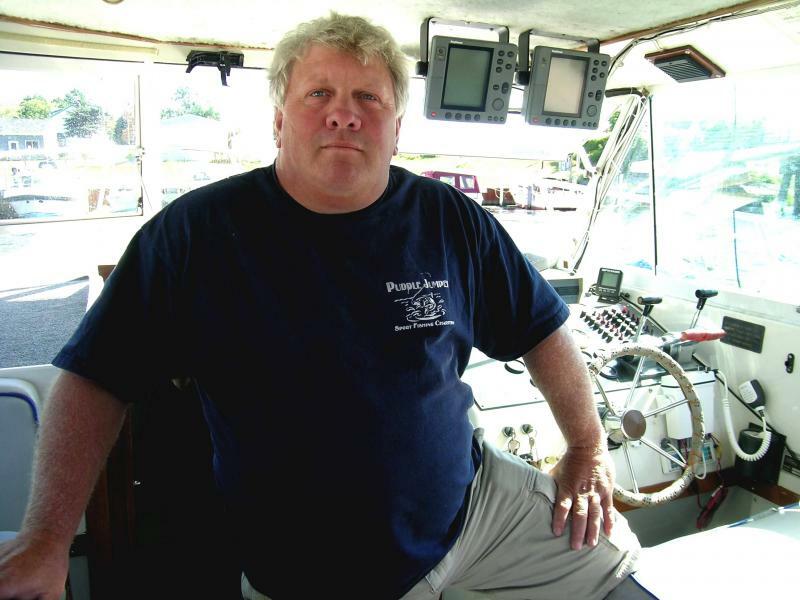 The first part of Hammontree’s story is familiar in Michigan. Her unemployment ran out in December. A new State Police report says traffic crashes in Michigan carry a price tag of $4.8 billion dollars a year. The report says the cost of traffic crashes in Michigan exceeds the cost of crimes. Researchers used data from 2009, when the human toll of traffic crashes was 937 deaths and more than 70,000 injuries. They put the economic damage for those crashes at $4.8 billion dollars. That includes the cost of medical care, property damage, and lost earnings, among other things. The institute also used data on jury awards to put a value on pain and suffering caused by traffic crashes, which put the number over $9 billion dollars. The study compared the dollar loss from crashes to the cost of violent and property crimes that are tracked by the state, and found the costs of crime are dwarfed by the costs of traffic crashes. The report was commissioned by the state Office of Highway Safety Planning and was conducted by the University of Michigan Transportation Research Institute. DETROIT (AP) - A group of young Jewish professionals attracted to the vitality of Detroit's evolving downtown wants to bring others into the city decades after their parents and grandparents left. CommunityNEXT Director Jordan Wolfe says the 25 people targeted through a rent program would help return Jewish culture to Detroit and contribute to the city's revitalization. Subsidies of $250 per month for a year will be offered. Wolfe says he is seeking to bring in people "who get a kick out of building a community." 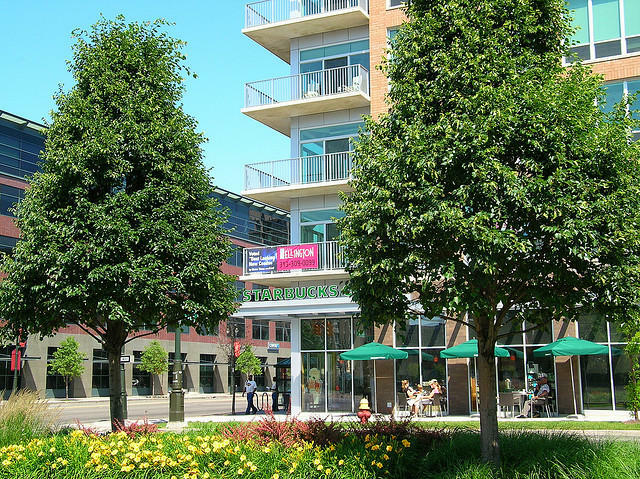 The rent program piggybacks offers major corporations and businesses are making to entice their employees to relocate downtown or to Detroit's growing Midtown area. A dodgeball tournament fundraiser is scheduled for Saturday in Detroit and will be followed Sunday by a kickball tournament in Los Angeles. In Michigan, one in 10 people who want work can't find a job, and that number doubles if you include people who are underemployed or who have just given up on their job search. But despite high unemployment, some employers are still finding that the search for talent can be a challenge. At the Hamilton Farm Bureau cooperative in southwest Michigan, a 50-ton truck is taking in a load of grain that will go to feed cattle. 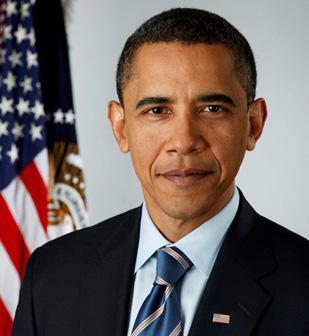 The White House has announced President Obama will make a statement shortly. We expect the president to address the downgrading of US credit. Click the "listen live" button above, to stream special coverage from NPR. Our Changing Gears team has been on the road this week traveling to some of our company towns in the Midwest. Changing Gears is a Michigan Radio project looking at the economic transformation of the industrial Midwest. Our final stop is Orrville, Ohio: A place that seems like a company town, but there’s long been a whole lot more going on in Orrville. Nobody can dispute that Detroit doesn’t work very well anymore. There is vast poverty, unemployment, and blight. Plus a litany of other problems, most of which are well-known. The question is, what do we do about them? What can anyone do about them? Within the last few years, the city has also been forced to face another unpleasant truth. There are too few people. Too few, that is, for a city of Detroit’s physical size. You could tuck Manhattan and Boston within its borders and still have room left over. Once, Detroit was a bustling city of nearly two million people. They weren’t packed together like sardines, but were spread out, largely in well-maintained single-family homes. That was sixty years ago, and pretty much everything is different now. The census showed that there are barely seven hundred thousand people left. In some cases, one of two families remain on blocks otherwise filled with vacant or burned-down homes. There began to be talk about “shrinking” or “consolidating” the city. People talked about ways to get people to move from the worst areas to more hopeful neighborhoods, to make it easier to provide city services. The mayor announced that his team would identify four to ten stable neighborhoods as part of a project he called “Detroit Works,” and then build up and further strengthen them. This all made good, sound logical sense. When a company bears the name of its hometown, it can be hard to separate the two. Such is the case with Norwalk Furniture and the town of Norwalk in Northern Ohio. Sue Lesch is the town’s mayor. 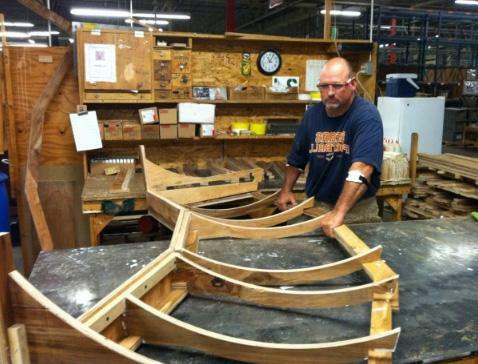 For more than a hundred years, Norwalk Furniture made custom-order sofas and chairs in its Ohio factory. For a long time, it was the biggest business in town, employing about 700 in this town of 17,000. The New York ratings agency left the state's overall bond rating unchanged Wednesday at AA-, an investment-grade rating that's three steps below the top AAA rating. Gov. 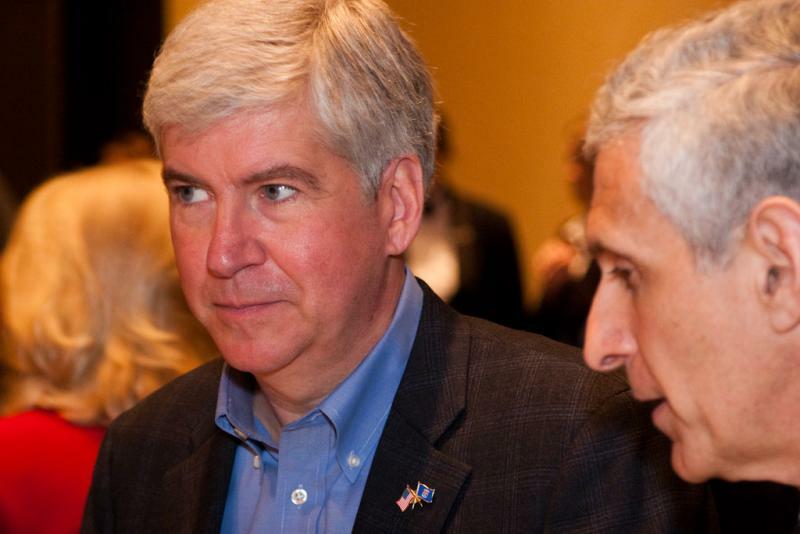 Rick Snyder met with analysts at Fitch, Moody's and Standard and Poor's on June 13 to discuss the state's growing economy and how the 2011-12 budget eliminates ongoing deficits without one-time fixes. Fitch took note of the budgeting changes. It says its positive outlook also reflects efforts to put away more in the state's rainy day fund and "grow reserve levels." The state lost its top AAA bond rating from Standard and Poor's in 2003. As the Detroit News reports, on Tuesday Governor Snyder told reporters that, "Lawmakers in Washington should look to Michigan 'as a good role model for success' as they try to resolve a battle over raising the national debt ceiling that is approaching a crisis." 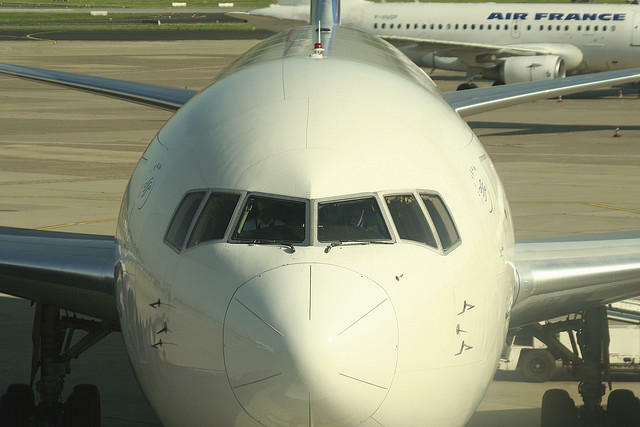 Delta Air Lines says some 2,000 workers have taken voluntary buyouts. In a cost-cutting move in response to high fuel prices, it will scale back its flight schedule more than planned this year. The high cost of jet fuel was the main reason Delta's second-quarter net income fell by 58 percent compared to a year ago. It earned $198 million, or 23 cents per share. Fuel costs were up 36 percent. At the same time, revenue rose 12 percent as Delta raised fares to try to pay the increased fuel costs. Delta would have earned 43 cents per share if not for one-time items including severance costs and reducing its facilities. On that basis, profit was below forecasts. 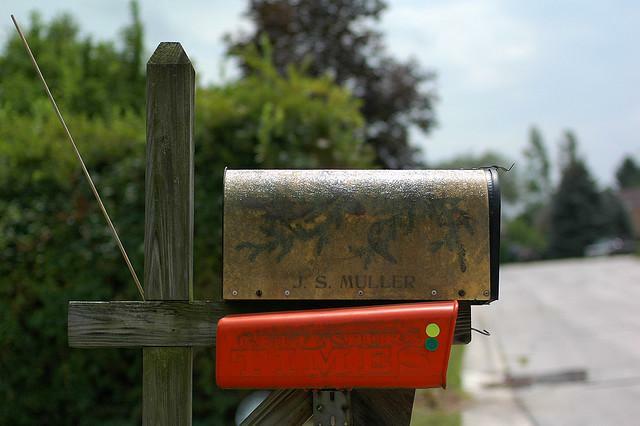 The leader of thousands of rural mail employees says she’s worried about a U.S. Post Office proposal that could close many small town post offices. The national postal officials say they need to make cuts to reduce red ink. The postal service lost eight billion dollars last year. Cindy Opalek is the president of the Michigan Rural Letter Carriers Association. She says closing small town post offices will hurt rural communities. “The people who work there get a little more connected…a little more bonded with the people that they serve. That will be a shame if they lose that. Does the (U.S.) Post Office care? I couldn’t tell you." The U.S. Postal Service has released a list of 62 Post Offices in Michigan that they're studying for closure. The potential closures could affect smaller cities like Kingsford, Baron City, and North Star. And they could also affect bigger cities like Grand Rapids, Detroit, and Lansing. The U.S. Postal Service currently operates 32,000 retail offices (the largest retail network in the country). It's studying the potential closure of 3,700 offices. The USPS suffered $8.5 billion in losses in 2010. Is your city on this list? How would you feel if your local post office was closed? One hundred thirty million will be available to Michigan businesses as part of a new grant program. The money is the first of the Small Business Association’s Impact Investment Initiative. The goal is to help grow and create jobs through public-private partnerships. The InvestMichigan! fund is a partnership between the SBA, Dow Chemical Company and state funds. Karen Mills is with the SBA. She says Michigan was the perfect place to start the program. “Michigan has great assets. It has one of the highest engineers per capita for any state. It has a well-trained workforce, it has great universities and it has extraordinary entrepreneurs,” Mills said. The program will distribute 1-point-5-billion-dollars to businesses nationwide throughout the next five years. Details on a public-private grant program aimed at helping small to medium sized businesses in Michigan will be announced during a press call at 1 p.m. today. Governor Snyder will discuss the new program along with Karen Mills of the U.S. Small Business Administration, Andrew Liveris, Chairman and CEO of Dow Chemical Company, State Treasurer Andy Dillon, and Kelly Williams of Credit Suisse's Customized Fund Investment Group. According to a source close to the information, the program's impact will be "quite substantial." Dow Chemical is expected to provide funds and help facilitate bringing federal and state funds to bear upon local markets. "It's meant for businesses who need financing, but can't get loans or financing right now," the source said.InvestMichigan! is a group with a series of funds focused on growing the next generation of Michigan companies, according to its website, and is one of the partners involved in today's announcement. It's federal counterpart, ImpactAmerica, is also involved. Amelia Carpenter in the Michigan Radio Newsroom will be on the call and will have more for us later. 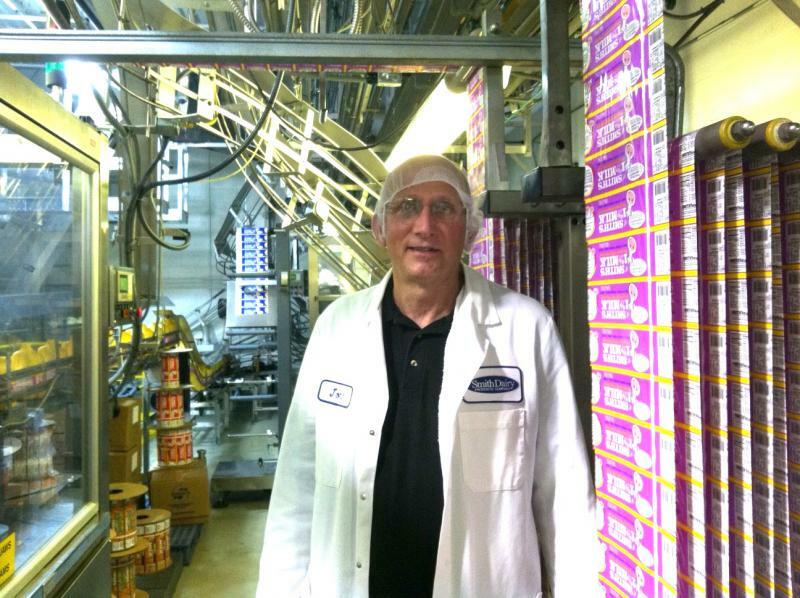 From Pullman in Chicago to Firestone in Akron, these employers loomed large in everyone's daily lives. But what does a "company town" look like today? The Changing Gears team hit the road to find out. All this week, we’re looking at how these places are coping with economic change. 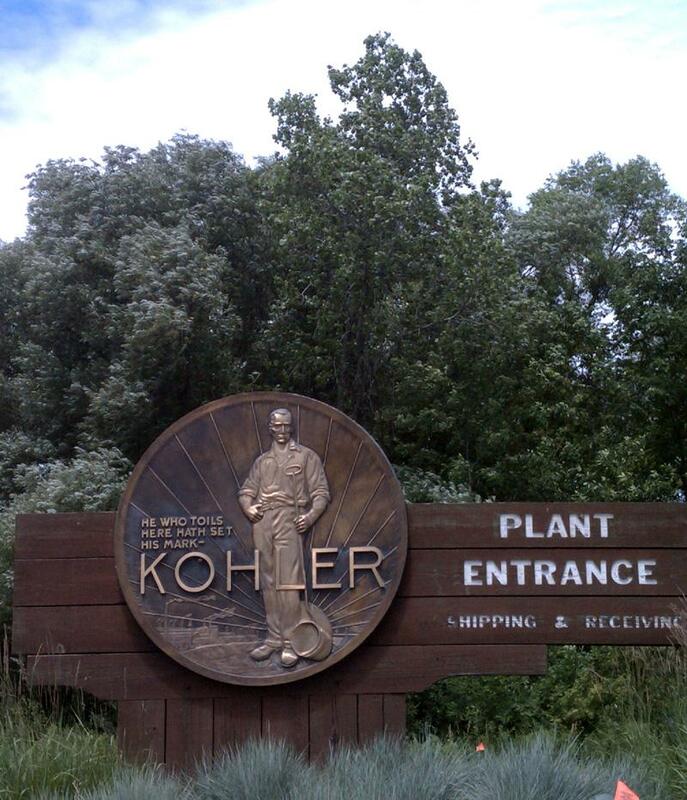 For our first story, I visited the village of Kohler, Wisconsin. 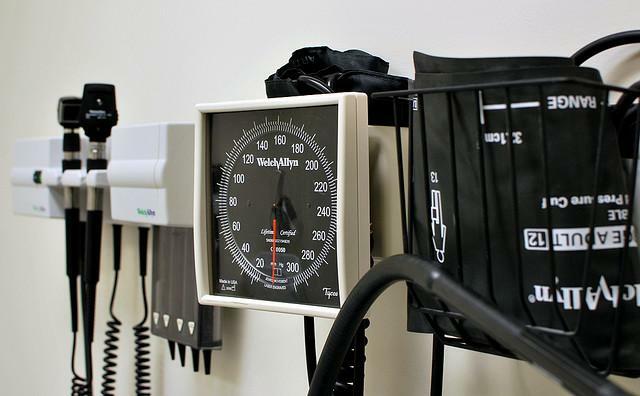 UM Flint received around $2.1 million in grants from the U.S. Department of Health and Human Services for nursing programs geared toward minority groups. The university highlighted three programs that will receive funding. $1.2 million will go to a program call UM-FIND (UM-Flint Initiatives for Nursing Diversity) to continue its work aimed at "increase nursing education opportunities for students from disadvantaged backgrounds." The grant provides funding to the program for the next three years. $700,000 will go to UM-FISCUP (UM-Flint Initiative to Strengthen Care to Underserved Populations). The program educates graduate nursing students about poverty and health care disparities among medically underserved populations. "It will allow an increase in student clinical placements with underserved populations and in the number of minority nurse practitioners, and that will lead to improvements in the by and large health of Flint and Genesee County residents." $221,000 will be used for scholarships for disadvantaged student scholarships and $32,000 will be used for graduate student stipends for Nurse Practitioner and Nurse Anesthesia students. 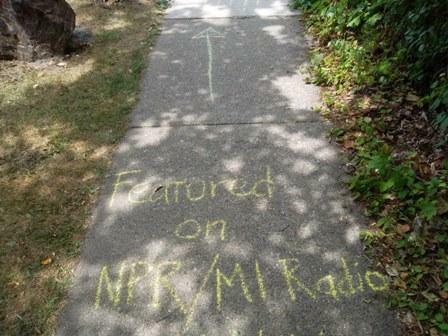 Local lemonade stand goes for "Michigan Radio Bump"
As Michigan Radio's Jennifer Guerra reported yesterday, even lemonade stands are not immune to the down economy. 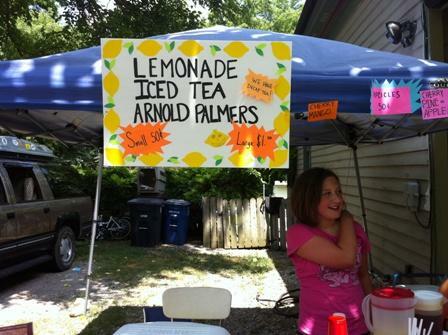 Guerra talked with Molly and Lucy Prochaska who have been in the lemonade business for five years. They described how they stopped getting "lots of money" once the economy took a dive. But the pair is not giving up. Especially with a competitor setting up nearby. As you can see in the photo above, the lemonade duo is working to capitalize on their public radio appearance. It's too early to tell whether the "Michigan Radio Bump" will pay off, but don't count these kids out. CEO Mike Edwards sent a goodbye note to customers today as going out of business sales start at Borders Book stores across the country. We had worked very hard toward a different outcome. The fact is that Borders has been facing headwinds for quite some time, including a rapidly changing book industry, the eReader revolution, and a turbulent economy. We put up a great fight, but regrettably, in the end, we weren't able to overcome these external forces. Over the last decade, the company made many missteps that led to its demise. One of the most notable was the company's failure to invest early in online book sales. Analysts say other problems included being overextended in real estate holdings for the bookstores, and a lack of leadership. The shuttering of the company means 10,700 will be out of a job. 400 here in Ann Arbor will lose their jobs at Borders Headquarters (a place that once had 1,800 workers). 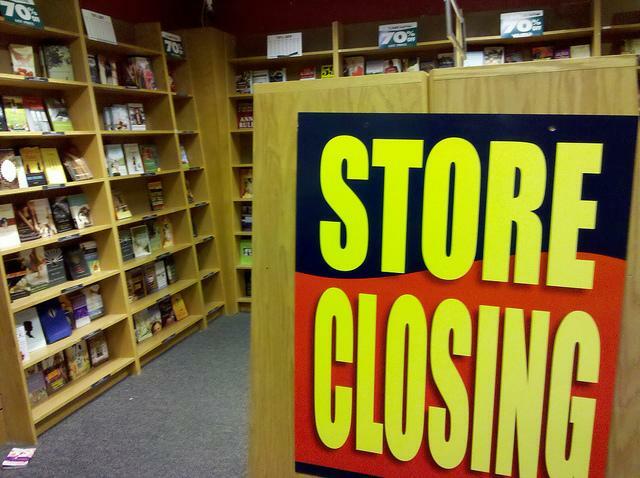 We asked our Facebook friends what they will miss when the Borders bookstores are gone. WASHINGTON (AP) - The Treasury Department says it has ended its investment in Chrysler LLC after Italian automaker Fiat SpA purchased the U.S. government's remaining holdings in the auto company. Fiat paid $560 million to the Treasury Department for the government's 98,000 shares. Fiat has run the company since it emerged from bankruptcy protection in June 2009. Treasury provided a total of $12.5 billion to Chrysler and its financing arm after the recession hampered auto sales and sent Chrysler and General Motors to the brink of collapse. The funds came from the government's $700 billion bank bailout fund. Since then, $11.2 billion of the assistance has been repaid, Treasury says. Chrysler repaid $5.1 billion in loans from the government in May. Treasury said it likely won't recover the remaining $1.3 billion.